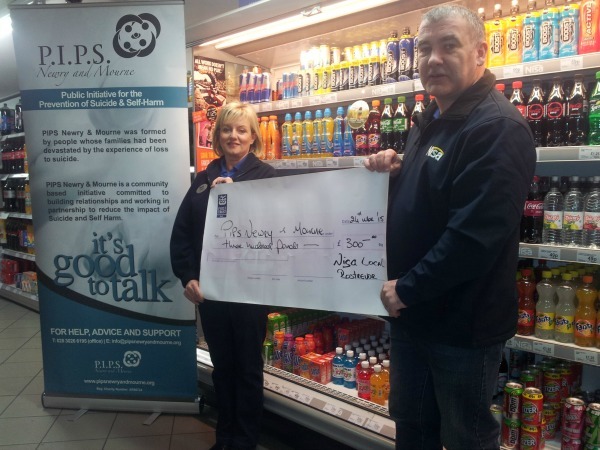 PIPS Newry and Mourne are delighted to be selected as Williamson Nisa Rostrevor charity of the year. For over 30 years Williamsons has provided the people of the Rostrevor area with great produce and service. Located in the middle of the village, it has great facilities such as an external ATM, street parking and we are a National Lottery retailer. PIPS Newry & Mourne would like to sincerely thank Nisa Rostrevor for their very kind donation to our organisation.